Or: footie vs bullies. Guess who wins? More cool thrills from Frank Lampard’s football series, plus free game cards. Want to play? We do! There’s nothing better than a great game of ball. 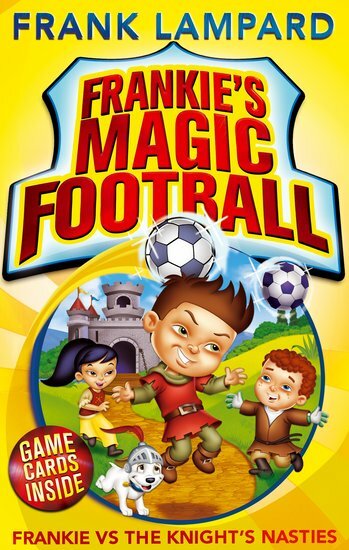 But Frankie’s magic football sends you back in time. Now you can play against loads of truly historic teams. This time, Frankie and his friends have shot back to the medieval age. Castles, jousts, feasts: it’s pretty cool. There’s only one problem: they’re going to have to beat some really nasty knights to get back home. You’ve never seen such foul play! It’s a great book! Definitely for people who love football. This book should get loads of stars,Mostly 5.